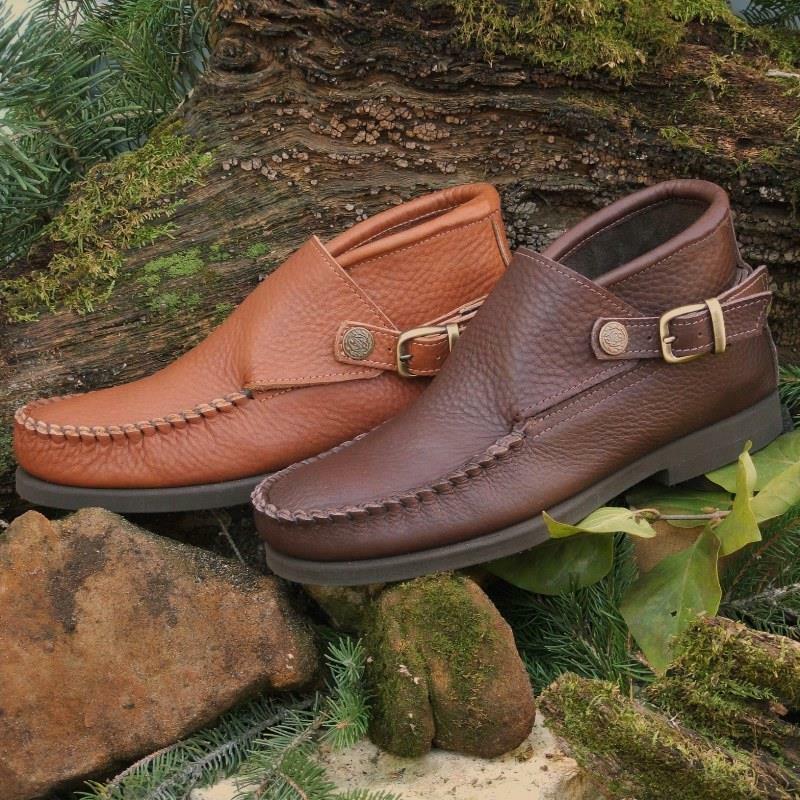 Our Men's Buckle Chukka boots are a good choice for both style and comfort. These comfortable chukka style shoes come with SorboAir® insoles and our classic slip-resistant rubber soles with heels. As with all of our footwear, this style is resoleable. Top picture shows Black and Saddle Deertan and bottom picture shows Saddle and Dark Brown Cowhide.